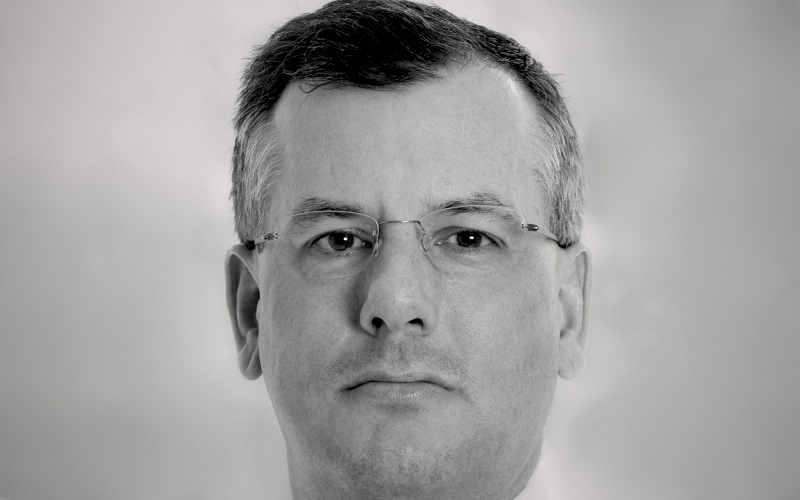 Interview with Tom Murcott, Executive Vice President of Global Foreign Investment at Gale International, co-developer of Songdo IBD, Incheon Metropolitan City, near Seoul, South Korea. We discuss newborn city Songdo IBD (International Business District) with Tom Murcott, Global Foreign Investment Officer at Gale International. Tom doesn’t have an easy task in positioning Songdo globally and attracting potential multinational corporations to set up operations in the newly built city, but what an exciting prospect to represent such a high-profile location in booming South Korea. 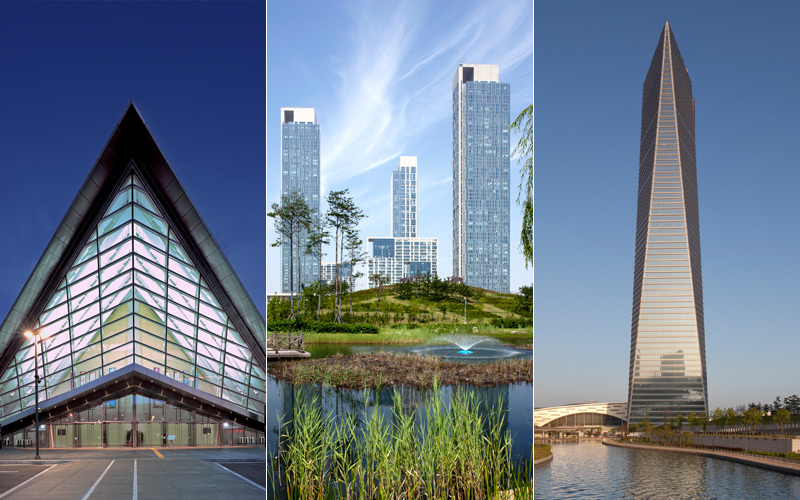 What are the 5 key steps to building a new city like Songdo IBD? There are actually thousands of steps necessary to complete a city like Songdo IBD. From an the initial feasibilities studies, to the master plan development, to infrastructure, to the construction of the built environment. And equally important is the ongoing evolution of the living and working spaces. To distill the process down into several steps would over simplify the intricacies of the undertaking. What has been the biggest challenge with Songdo IBD? The biggest challenge we faced with Songdo was that the Korean general public at first didn’t understand what the place was about, and why there was a need for a new, $35 billion city that focused on liveability, sustainability and a less regulated, more international business culture. Our successes have opened a lot of minds. One example is that initially, the people living in Seoul simply didn’t feel the need to come down to Songdo. To them it was yet another development near the airport. Today, people from Seoul come here on a regular basis, especially on the weekend. They enjoy the Canal Walk retail corridor, open-air flea markets, green spaces like the stunning 100-acre Central Park, restaurants and everything else Songdo has to offer. What is Songdo IBD’s main purpose? At the time of the Asian financial crisis in the late 1990s, Korean workers were moving overseas to find work and very few major international corporations were venturing into Korea. So at the end of the 1990’s the Korean government decided to make this city a reality. They saw an opportunity to build a new business hub for Northeast Asia that would boost the local economy and stop the mass exodus of Korean workers. To have had that kind of vision in such critical times is very bold and courageous, to say the least — but that is the Korean way. The Korean exodus has now virtually been eliminated thanks to the continued improvement in the domestic economy and because of ambitious public-private projects like Songdo, which provide many opportunities for the Korean people. 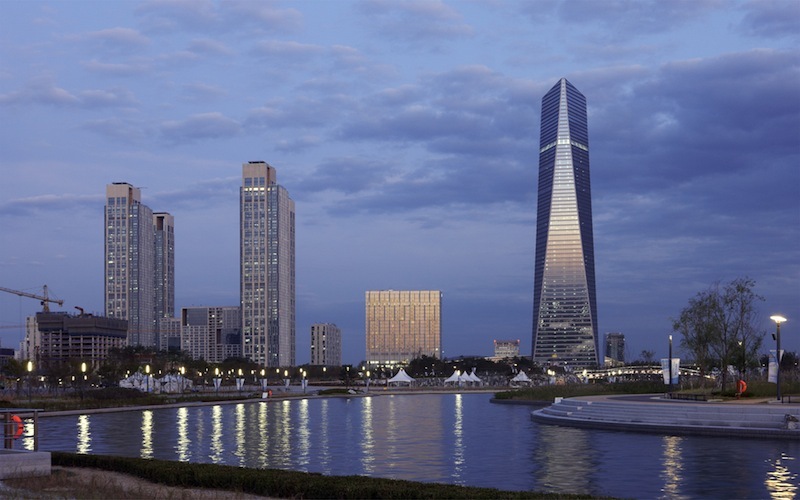 For you what is the most striking feature of Songdo IBD? For me there is no one feature, it’s the whole place itself that is striking. Songdo is doing what it has set out to do both economically and societally. This city has been built to provide people with a great place to live and work. For example, our co-development partner is POSCO E&C, and thousands of its employees recently relocated from Seoul to Songdo. They enjoy the place immensely. The quality of life in Seoul isn’t necessarily worse, it’s just totally different. Currently, 22,000 people reside in Songdo IBD and by year-end that number will grow to more than 27,000. When completed in 2017, Songdo IBD will be home to 65,000 residents and 300,000 people will work in the city. These types of city-scale development projects don’t always work out as well as Songdo, so we’re pleased with the results to date. More than 50% of the built environment in Songdo is complete and we have reached a critical mass of people and services. You mentioned that starting from a blank slate is a massive advantage. Why is this? The greenfield aspect of the development gave us the opportunity to borrow effectively and efficiently from other great places in the world. For example, we made the decision to have 40% of the city reserved for open green space, to create a system of canals, to put in bike paths and pocket parks. With a blank slate, you can draw upon the best from other great cities like Sydney, New York, Paris or London. How do you give a soul to a city that is “ready-made” like Songdo IBD? You don’t. The people who come will ultimately define its energy, and provide the soul and vibrancy. We’ve come a long way in a very short period of time. You have to imagine that five years ago there were no buildings here, it was just a construction site, and now in Central Park there are people jogging, biking, or canoeing in the canal, they are socializing at the cafes and enjoying a meal in our great restaurants. There is a full complement of students in the international school and a state-of-the-art convention center that is packed with events year-round. Still, this city is just starting to define its soul. Everything will happen in time. 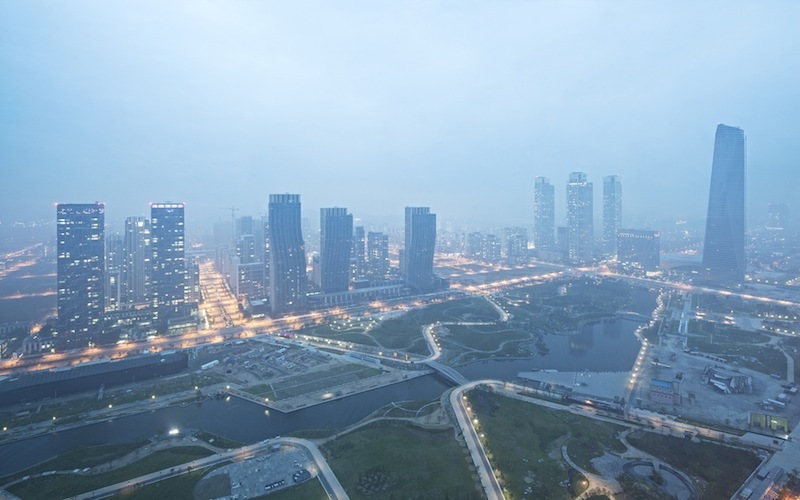 Many cities say they are smart & connected, what is special about Songdo IBD’s smart technology systems? Whereas a lot of older cities have to retrofit these different “smart” technologies, Songdo has taken a more holistic approach to built-in smart technology. We understood early on, as the master plan developer, that technology could be used to enhance the daily lives of people here in Songdo. We went to major multinationals that you’d assume had this technology, but no one really had the end-to-end solution. Eventually we met up with the technologists at Cisco. John Chambers and his team in the Smart + Connected Communities practice told us that they could help us build a smart and connected citywide solution and implement it in Songdo. This platform can also tap into the greater public sector infrastructure to provide digital applications that can enhance transit, public safety, energy management and a variety of citizen services. For example, with our system, in the future Songdo residents will be able to renew their driver’s license online. They don’t need to get in their car, drive down to the main bureau. The license can be renewed from home. This transaction will be enabled via a secure e-commerce solution. Residents can also book a real-time English lesson or a yoga class to be enjoyed on a Cisco TelePresence HD monitor in the comfort of their apartment. We are just rolling this functionality out now, and anticipate adding many other life-enabling solutions and services. It took four years to design Songdo’s master plan, but now you mention it would only take 6 months for your team to conceive a master plan for a city like Songdo. How do you go from designing a master plan in 4 years to 6 months? Because we’ve done it. It took 4 years to get to a master plan for Songdo. Our master plan was very good from the get go, but we had to obtain all the approvals, permits, etc.. The first time around, it took some time to get the plan just right. At this stage Gale International brings a whole team of global partners when we show up for a project on the scale of Songdo. These best-in-class partners allow us to fast-track the whole master plan process. The infrastructure master planning is often done by companies such as Arup and KPF, the power grid is led by UTC, the network backbone is provided by Cisco, construction is led by POSCO E&C. It’s not like you have to layer these on top of one another, they all come at the outset. The challenge is to get all partners to work seamlessly together on the master plan. This is the developer’s task, and this is what Gale International does so well. How would you compare Songdo IBD to Masdar City in Abu Dhabi? The biggest difference between the two cities lies in their phasing approach. I don’t want to be negative about Masdar as it is also a remarkable initiative, but Masdar seems to have evolved into more of a project by project development whereas we’re plugging Songdo into an existing city with much greater scope – the Seoul megalopolis. There are 49 million people who live in South Korea, about 22 million of whom live within a 100 kilometre radius of downtown Seoul, and we’re very much part of that radius. When we built Songdo, we were building right back into a critical mass of millions of people, whereas Masdar, by virtue of where it is, doesn’t have that model and cannot immediately impact as many lives as Songdo. On the research side of things, we’re taking a similar approach to Masdar. In the development surrounding ours, the Incheon Free Economic Zone Authority opened a biotech sector. They have attracted high profile corporations such as Johnson & Johnson, Berna Biotech, Samsung and others to build out research, manufacturing and related facilities. What is the Korean mindset vis-a-vis environmentalism? Look at our tenure on the project. 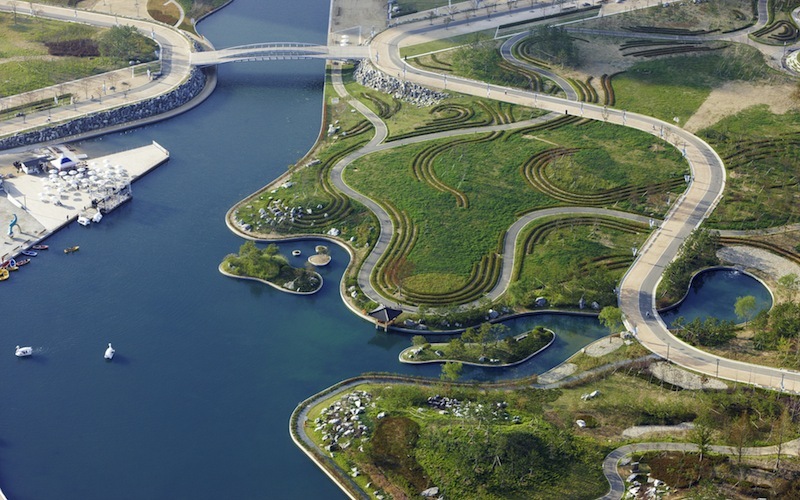 It is the Koreans who built the foundational green infrastructure for us. They built the pneumatic waste collection system, the subway, the airport, etc, We then provided the vision for additive green features such as the cycling lanes, Central Park, building-by-building water catchment systems and a USGBC LEED-certified design and development standard. We’ve got about 13.7 million square feet of LEED certified space, which we understand is the largest single concentration of newly built LEED certified urban space in the world. That says something about the Korean mindset regarding environmentalism. When we pushed to build to LEED standards for Songdo, some questions were raised, including how much is this going to cost? We knew it would cost more than conventional buildings. But we also knew that many multinational corporations wishing to relocate to new real estate would have a CSR mandate, requiring them to take space only in structures with an accredited standard of sustainable design and development. Tell us a bit about your experience working with Koreans. What can us Westerners learn from them? Koreans have a highly aligned culture and society. When you can get a Korean team behind a project or opportunity there is no stopping them. The resolve they put into everything they do is extremely focused. It’s a culture that is industrious, focused and of high intellect. In some other countries it’s just not possible to get the same positive outcome for a project of this scope and complexity as in Korea. 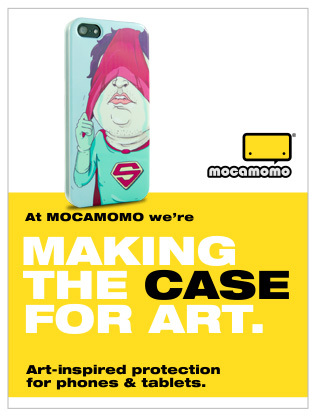 Korean culture and influence has now gone beyond the home appliance and consumer electronics fast-follower mentality. It’s more holistic, innovative and global. For example K-pop (Korean pop) has gone viral with Psy’s “Gangnam Style” and in the U.S. Korean-influenced food is also very popular. David Chang, the Korean-American chef is a big hit in the US with his Momofuku restaurant group. Which emerging cities should we look out for in the near future? We’ve actually master planned a new city that is being built as we speak. It’s called Meixi Lake. It is in the Hunan Province in China. It’s about 1700 acres and is expected hold a population about twice the size of Songdo. The city’s progression has been remarkable so far. In 2009, we gave our client, the Changsha municipal government, a full master plan with detailed infrastructure, streetscape, phasing plans. We then handed it over to the municipal government, which began work on the project, including a 502-acre lake which sits at the heart of the development. We came back thirteen months later and the lake was there, the subways were being built, the basic road structure was being laid and the buildings were coming out of the ground. China is working at a very high pace to bring numerous new cities out of the ground. Can you tell us a little bit about Gale International’s future projects in emerging economies? Our number one goal is to finish Songdo IBD. But Gale International’s role goes way beyond building the city. 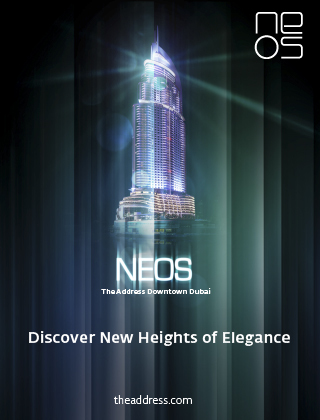 Our approach is to monitor and evolve the cities we help build. We have a sister company, U.Life Solutions, that takes care of the well-being and quality of life of the city over time. It is a joint venture among Cisco, Gale International, POSCO E&C and LGCNS. We take a generational approach. We ask ourselves: How do you plan and build the right place? How do you effectively operate that city and help it evolve over time so that the technology and living experience grow and continually improve with time? This is how great cities stay great. Images: courtesy of Gale International, 2012.